PRESS RELEASE: Live 8 legend Midge Ure is launching a new revolutionary campaign - but this time his appeal is for a fair deal for new and independent artists. Tunited is a groundbreaking new independent music website which will assist new and independent artists and labels gain increased exposure, challenging the flagging music business' growing reluctance to invest in this exciting area. Tunited will be a great exponent of new music at all levels from new student musicians right the way through to independent artists and labels with, almost uniquely, all download payments being passed on to the artist. The four cornerstones of Tunited are: Create, Collaborate, Promote and Enjoy. Create is the music and design creation software, that comes free with Tunited that can help artists to construct their music from scratch, or they can simply upload their existing catalogue. Collaborate is the community element of the site, where artists can share work, ideas and network, gig-swap and exchange skills to create virtual bands. Promote covers news, interviews, online concerts, and opportunities for advice and feedback from industry experts, A&Rs and producers. Enjoy is where you can listen to all the music that Tunited offers its audience, with charts to show which artists are most popular within each musical genre from indie to classical, from wonk to dub-step. Further unique opportunities and services that will be available to all artists on the website will be announced in the press and online nearer to the launch date of the site; these include sync licensing opportunities, gig promotion and Tunited's ability to leverage lower production costs. "With Tunited, we're not just opening doors for new artists - we're blowing the doors right off, Italian Job-style! Tunited will be the new music industry", says Midge. Tunited was first dreamt up by Midge in 2006, after he saw and experienced how the culture of illegal downloading was ruining the industry. "As soon as Napster was launched, it was clear to me that the industry was about to suffer by the shareware and illegal downloading phenomenon. Now, ten years on, we can all see the effects: major labels don't have the money to invest in as many new acts anymore. "They are taking fewer risks and as a result, new music is being crushed. There's no long term investment in bands anymore. Gone are the days when majors can stump up large advances and take on 20-odd bands in the hope that one would make it. And the few acts they do invest in are given their 15 minutes of fame to prove their existence. If they don't come up with the goods, labels chuck the baby out with the bathwater. "But without nurturing the fresh talent that's out there, new music won't get heard and the business will kill itself off." Then, in 2007, thanks to the support of a group of financial backers, the concept of Tunited was born. "I saw a very real need for an online platform to be set up to give opportunities to independent artists and I've been working on the project for the past two years now", says Midge. With the run-up to the launch in January 2010 well underway, acts are being given the exciting opportunity to compete to become one of the first 100 profile artists featured on the website which is set to have all industry eyes watching and tongues wagging. Tunited's launch will be flooded by attention from all sectors of the media including press, TV, radio and online, providing profile artists with interview opportunities and live gigs as well as the chance to get their tracks played by industry-insiders and new listeners. The top 100 artists will upload their music catalogue onto the website prior to launch; it will then be made available to the press and music industry for showcasing before the site goes live on 10.01.10. To become a profile artist, acts need to enter their details and upload a song onto www.tunited.com from 01.11.09, where their music will be judged by Tunited's panel of experts, including Midge Ure, OBE. Managing Director, Matt Stanley, explains: "All artists' music will be easily accessible through downloading and streaming with all profits going to the artist. Tunited's charts will then help A&Rs and fans to find the cream of new music." Matt went on to say "The site itself has been under construction for the last 12 months and we are confident that by January Tunited will be able to maximise all the new opportunities that it provides for its artists." 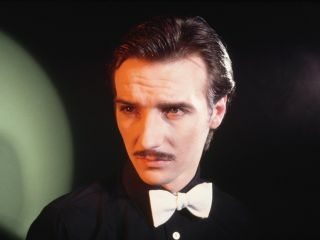 Midge Ure, who was awarded an OBE in 2005 for his services to music and charity, is best known for being the frontman of Ultravox in the early 1980s, co-writing and producing Band Aid's Do they know It's Christmas and co-organising the Band Aid, Live Aid and Live 8 campaigns with Sir Bob Geldof. Ure has also been awarded four honorary degrees for his musical and charity work and wants the site to help move the music industry forward in these testing times. "I've been incredibly lucky," says Midge. "I've made money from my music in the 38 years I've been in the industry. Now, I see it's time for me to give something back to that industry and to the new emerging artists. I'm incredibly excited about the site's launch - Tunited will be a platform to show the world that there's talent out there." With the launch date January 10th 2010 approaching fast, Midge and Matt are inviting acts to compete to be one of the first top 100 profile artists on the Tunited website by entering their details and uploading a song at www.tunited.com. Deadline for entries is 12pm Friday 11th of December 2009.